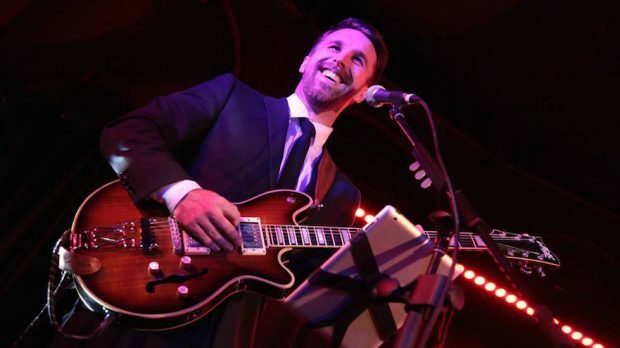 Multi-instrumentalist Mark Turner has been a fixture in Perth’s jazz scene for many years now playing saxophone and guitar with acclaimed acts like Jessie Gordon and Adam Hall and the Velvet Playboys both locally and across the globe. This weekend he is celebrating the release of his first ever solo EP Made for Us with a launch party on Sunday June 11 at Babushka in Leederville from 6pm. BRAYDEN EDWARDS caught up with Mark Turner to discuss jazz in Singapore, impulsively booking studios, finally putting his own name on a release and the artists around him that made the sounds in his head become a reality. So you’ve been playing with a number of different acts in a number of different guises for a little while now. Where might people have seen you playing about the place before? I’d probably be most known recently playing with Adam Hall & the Velvet Playboys and with Jessie Gordon. They’d probably be my main two partners in crime. I’ve worked with Jessie for basically my entire life in such bands as the Darling Buds of May, her own original stuff and the Perth Cabaret Collective. So many different forms of being a musician I guess. And playing a number of different instruments as well? Well my main instruments are the saxophone and guitar but I do like to play a little bit of drums and keys and obviously sing as well. So just enough to have a bit of fun and be able to create whatever music I have in my own head. Guitar and keys are one thing, yes, but I imagine a good saxophonist is hard to find. You must get calls from all kinds of people wanting to work with you? Yes I’m kind of lucky in that way. In terms of my technical ability that’s my only studied and probably my highest level instrument so it gives me a lot of flexibility as a musician which I’m really grateful for as it means I get to do lots of different things. A lot of those different things have included international shows and tours including North America, Europe and Singapore. Yes we just got back from the Singapore Jazz Festival which was huge. They had a massive bunch of artists playing and there must have been 15,000 people or more which was amazing. We go to Europe most years as well and this year we’re playing one of the biggest music festivals in Belgium. We’ll also be touring Europe and heading to Kuala Lumpur which will be really fun. And what’s been the highlight of your international travels so far? Getting to play music overseas to people who really want to hear it is kind of mind-blowing. They have no idea who you are and all you’ve got is who you are as a musician and you’ve just got to play your arse off and go from there and people have really just opened their arms up to us. It’s so nice to be invited into a different culture and be able to share the music that we create on the other side of the world. So this is your first EP and first release under your own name. So what compelled that venture? Weren’t you busy enough with everything else going on? I guess it’s kind of been my dream since I can remember. I knew I wanted to do something like this since high school and started on it a long time ago but a whole bunch of circumstances stood in my way. I didn’t feel like my songs were that good. I had a few injuries and problems with my voice. It just got put on hold but I was always like ‘I’m still going to do it… when I buy that guitar or this piece of equipment I’ll be ready to finish that song’ and I kept making excuses for myself. I just hit a point where I thought I just can’t look back and think ‘what if?’ It has to be right now. Someone asked me to do a gig under my own name and it kind of took me by surprise but I set myself a little challenge to do it and the rest is history. How is it different for you? Do you feel a little more exposed performing in that way than would as part of a collective group? I really enjoy being part of a team but there’s something really exciting about writing a song, creating a song and sharing a song with people. You get to give it people and then it’s theirs. You can create whatever you want to create which is a really new and exciting feeling for me. But at least in a performance sense you’ve got some company on Sunday with a full band and a string quartet to back you up? Yeah it’s a brand new band that I’ve put together and the string quartet that I recorded with on the EP so it will be great to have those amazing musicians with me on the night. When you were writing the songs did you visualise something like that? Or did you put it down first and then think it was something you could make even bigger and better? The original idea for the EP came from the first track Again and Again and I always had the idea of strings being involved in that and I didn’t know if it would work. And then my bass player and I were trying it out and he bowed the part that I sung to him and it was exactly the way I imagined it. So the next day I booked in a studio session and got in touch with the string players. I hadn’t written their parts yet but I knew if I didn’t book it I’d probably end up putting it off so I just went for it. What can you tell us about the other acts on the night? Are they a similar vibe to what you’re doing or did you opt to mix it up a bit? It’s all original singer-songwriter music but there’s definitely a mix there. The Conscious Dreamers are an amazing Americana country folk group who I absolutely love. I’ve worked with them and recorded their music and they’re very good friends of mine. And also there’s Jessie Gordon who is my best friend. She writes incredible music which you can’t really describe with a style. Her style is just completely her own and if you’ve ever seen her you’ll know what I mean. If not you’ll have to come down – it’s going to be a beautiful evening having all three acts flowing together. Looking beyond Sunday night what else is there to look forward to in Mark Turner-land? I’m heading to Europe soon after this show but I’m planing to smash out another EP and focus on having a full band when I get back. There’s no expectation really with this project I just want people to enjoy it, write as much music as I can and see how far it goes.